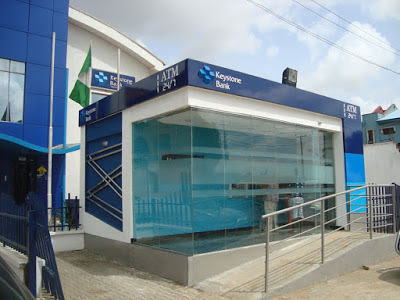 The Asset Management Corporation of Nigeria (AMCON) has announced the sale of Keystone Bank, one of Nigeria’s commercial banks. AMCON said the bank was sold to Sigma Golf Nigeria Limited and Riverbank Investment Resources Limited (the Sigma Golf – Riverbank consortium). The bank, formerly known as Bank PHB, is the last of three nationalised banks to be sold, the other two being Mainstreet Bank and Enterprise Bank. “it is pleased to announce Sigma Golf Nigeria Limited and Riverbank Investment Resources Limited (the Sigma Golf – Riverbank consortium) as the new investors in relation to the acquisition of the entire issued and fully paid up ordinary shares of Keystone Bank Limited”. “This follows the receipt of the necessary regulatory approvals from the Central Bank of Nigeria (CBN) and the Securities and Exchange Commission (SEC). AMCON said The Sigma Golf – Riverbank consortium is made up of Sigma Golf Nigeria Limited and Riverbank Investment Resources, which both are entities set up by local investors. The sale of the bank has been on the cards since 2016, via a process started with interest shown by more than 12 parties cutting across local and international investors. AMCON said the emergence of the Sigma Golf – Riverbank consortium resulted from a rigorous and competitive bidding process, which was coordinated for AMCON by Citibank Nigeria Limited and its affiliates and FBN Capital (Joint Financial Advisers), and Banwo & Ighodalo and Crosswrock Law (Joint Legal Advisers).